Strides to Success is excited to now offer online courses. All courses are approved for PATH CEU’s!!! 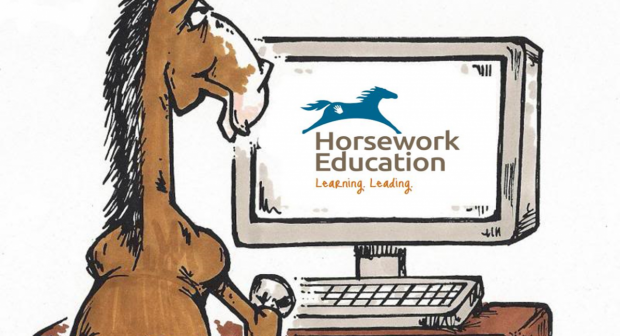 Description: The 15hr online introduction to equine assisted learning and therapy is the gateway course for anyone looking for a place to start. By the end of the course students can define equine assisted learning and therapy, define each of the specialty areas, discuss the theoretical foundations for the work, and demonstrate an understanding of the ethical implication of scope of work. The course consists of 8 modules. Learning objectives: Be able to define equine assisted learning, define equine assisted therapy, demonstrate an understanding of the theoretical framework for EALT, define the areas of specialty and how they are different, define the types of professional competencies required, demonstrate ability to define the scope of work for each area and the consequences for operating outside the scope of work. Description: Have you ever wondered how some instructors are able to come up with some of the most creative lessons and never seem to run out of ideas? The lesson plan 101 course is an online course that teaches you how to breakdown lessons into categories to create endless combinations. It also covers how to create a flow within a lesson so instructors and be flexible to meet the ever changing needs of riders and horses in a lesson. The one thing you can count on in equine assisted work is unpredictability! Perfect for new instructors or instructors looking to re-energize their tool box! This course has 6 online modules for a total of 11 hrs. Learning objectives: Each student will be able to demonstrate knowledge in how to create a lesson plan, demonstrate knowledge of task analysis, demonstrate knowledge in creating goals and objectives, creation of a database of creative ideas for future lessons. Description: This 18 week online course covers all the areas of knowledge required for certification through PATH Intl. 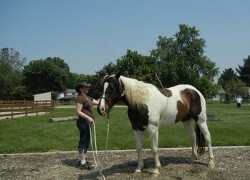 in therapeutic riding including horse knowledge, teaching students with disabilities and operations. 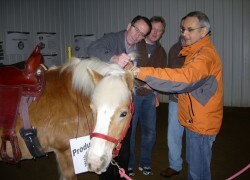 It also covers essential skills to help you build a sustainable career in equine assisted activities. Of course, horse experience can’t be taught online. It is expected that you are working with a center, mentor or your own horse(s) during the program to get the hands on experience required.2) Duration of course: This online course is 18 weeks with 3 hrs of work for each week for a total of 54 hrs. Learning objectives: At the end of the course the student will be able to demonstrate competency in these areas: Discuss and defend their personal teaching and equine philosophy. demonstrate understanding of the field of EAA, demonstrate competency in horse knowledge including: confirmation, breeds, colors, markings, barn management, health and disease and applied bio-mechanics. Demonstrate competency of adaptive equipment, disabilities, contraindication for mounted work, learning styles, lesson planning and documentation and teaching methodology. They must also demonstrate knowledge of mounting and dismounting, volunteer management and basic business practices. To learn more about this course, go here. Description: Are you just getting started in the horse business? This is the perfect resource to help you get to know the horse. This basic course covers the basics of horse knowledge to give you the foundation to start a healthy, mutually beneficial safe relationship. This course consists of seven modules. There are 7 modules in this course. Each module is 2 hours in length for a total of 14 hours. Description: Are you lost trying to get your business off the ground? This eight week course covers everything you need to get started. By the end if the course you will a compete business plan so you can get started in the right foot with everything you need. This course has 8 modules for 16 hrs. Learning objectives: In this course students will learn: Why you need to build a business plan, the differences between the legal entities, types of services, basic bookkeeping, marketing and client management. 5) Method of student evaluation (if applicable): Each module has a homework assignment that culminates in a complete business plan.